As per the Motor Vehicles Act, it is mandatory for every car owner to insure his or her vehicle with a third-party liability cover. 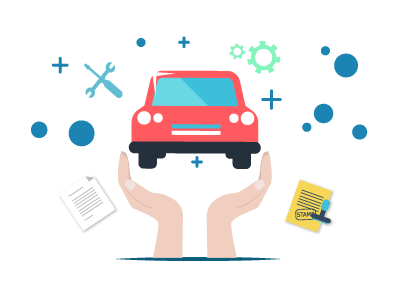 A car insurance is an important policy to every car owner in India as it protects the policyholder from any unforeseen liabilities and covers the expenses for vehicle repair. Usage Based Insurance is a way of calculating your car insurance premium based on your driving habits. It is based on the ‘Pay As You Drive’ model where your vehicle usage determines your car insurance premium. The readings from the vehicle’s odometer determines the applicable car insurance coverage. The insurance coverage and premium also depends on the location based data collected from online tracking devices such as smartphone app, GPS, etc. that have been installed in your car. The collected data includes vehicle’s average speed at any given point of time, time taken to complete each trip, total distance travelled, etc. How does this ‘spying’ impact my car insurance profile? The data collected via Usage Based Insurance is considered as good spying as the data collected isn’t used for any marketing stunts, instead it is used to evaluate the driver’s driving skills. If your driving skills are good and you haven't been involved in any accident, you will get a discount on the insurance premium. You will be able to fix your own insurance premium, you alone will be responsible and all the conditions that apply for the other demographics will not apply in your case. Don’t pay a third-party involved in the accident if the mishap wasn’t your fault. What is the role of ‘Telematics’ in this insurance format? Telematics refers to the technology inbuilt in devices that are used to send, receive and store information to and from the installed vehicle. A telematic device can be a simple GPS tracker, a tracking app in your smartphone or a plug and play device on the vehicle’s dashboard, etc. Though telematics sounds expensive is really gonna be cost effective compared to the traditional option? The insurers reward drivers with good driving experience via the Usage Based Insurance concept. Skilled drivers with good driving record can save a huge sum of money this way. While insurers reward good drivers, the insurers cut down benefits such as discounts, additional features, etc. for drivers who don’t have a good driving record. When can I expect to see ‘Pay As You Drive’ option as a common offering?